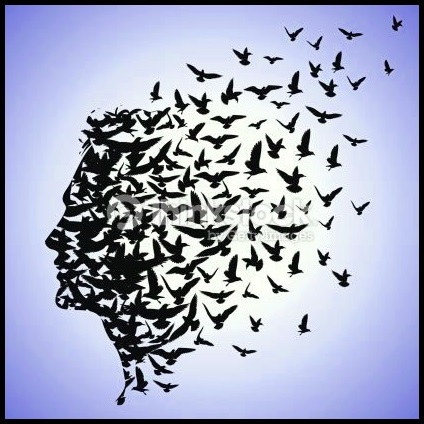 Dr. DeFoore's Healing Anger Newsletter entitled "Struggling With Depression?" Is There Anger In My Depression? How Do You Break Out Of Depression? Yes there is, whether you realize it or not. More accurately, there is a story inside your depression, and somewhere in that story there is anger...yours, somebody else's, openly expressed or silently stuffed. Another way of looking at this is that if your anger was healthy, you wouldn't be depressed (unless your depression is related to a specific medical condition). Somewhere in your story, you wanted/needed something you didn't get (neglect, abandonment), or you got something you really didn't need or want (abuse, violation). Somewhere inside you, you felt angry about this. If you're not aware of it, that just means it's subconscious. This is how we function as human beings. You tried to do something about your situation, and it just didn't work...meaning you still didn't get what you needed/wanted. If any part of you "gave up" at this point, that's the beginning of depression. Healthy anger, to go back to that perspective, means you never give up on yourself. When you become resigned to a fate you never would have chosen for yourself, some level of depression is inevitable. You might be thinking, "Wait a minute! I'm not depressed, I'm angry!" That may be true, but if your anger is not getting you the results you want, you're going to start getting depressed. Again, this is just normal human functioning. In my experience, there is always anger inside depression, right there alongside, sorrow, pain, confusion and fear. If you're thinking, "I'm not angry or depressed," then stop reading this and go have some fun! "Anger is useless unless it leads to healthy, productive action that solves the problem that brought the anger." If breaking free from your depression feels too big, then just look at one small step you can take, and take it. Then another, and another, and pretty soon you'll be making headway. A positive, optimistic attitude is essential to breaking free from depression. It's not something you get all at once, it's something you build slowly over time, then you just keep building it. How Do You Break Free From Depression? First, don't assume that medication is the answer. It may help you to get through a particularly rough spot, but any benefits you may experience will be short-term, at best. You didn't get depressed because of an absence of that medication in your bloodstream...you have to get to the cause to experience the lasting relief you're looking for. This means exploring that story we were talking about. 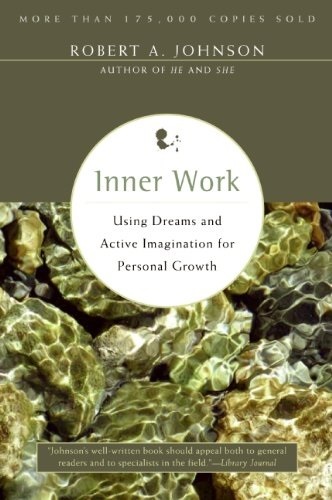 The book above, by Robert Johnson, provides some excellent guidance for plumbing the depths of your subconscious story, by working with your dreams and inner imagination. I use it personally and professionally, and I highly recommend it! Some authors have suggested, and I happen to agree, that the inner world is as vast as the outer. So when you embark on cracking open your depression to break free from it, you'll need a road map...and your personal story is your best possible road map. As you explore your story (here are some guidelines for that), you will find the pain, fear and turmoil underlying your anger. The next step is to begin your emotional healing journey to resolve these issues, which will give you relief from your symptoms of depression. Then, when you have a foundation of well being and happiness, maintain it with a practice of gratitude, appreciation and optimism. Depression can be seen as "compacted" pain, fear and anger. It's compacted, or blocked, because of the frustrated efforts to correct the situations confronting you. You don't have to just accept depression as a part of your life. Take action now, using the tools and links on this page to start your healing and breaking free process. 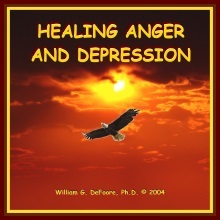 This highly effective audio program, available as a CD or MP3 download, will help you understand depression and anger and how to heal emotionally for a lasting and fulfilling life. New web pages for you. Read new contributions from good folks like you, such as Do I Stay, Go Or Help Him Through It by a woman trying to decide what to do about her marriage to her abusive husband, and Is My 36 Year Emotionally Abusive Marriage Worth Saving? by another woman dealing with very similar issues.